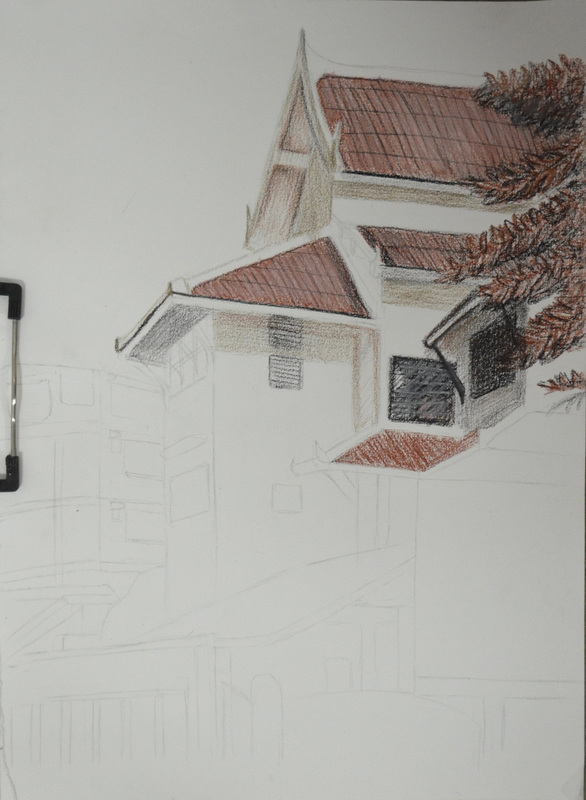 For this exercise I was to make a limited palette study from the sketches in my previous exercise ‘a Sketchbook of Townscape Drawings‘ in 2-3 colours. 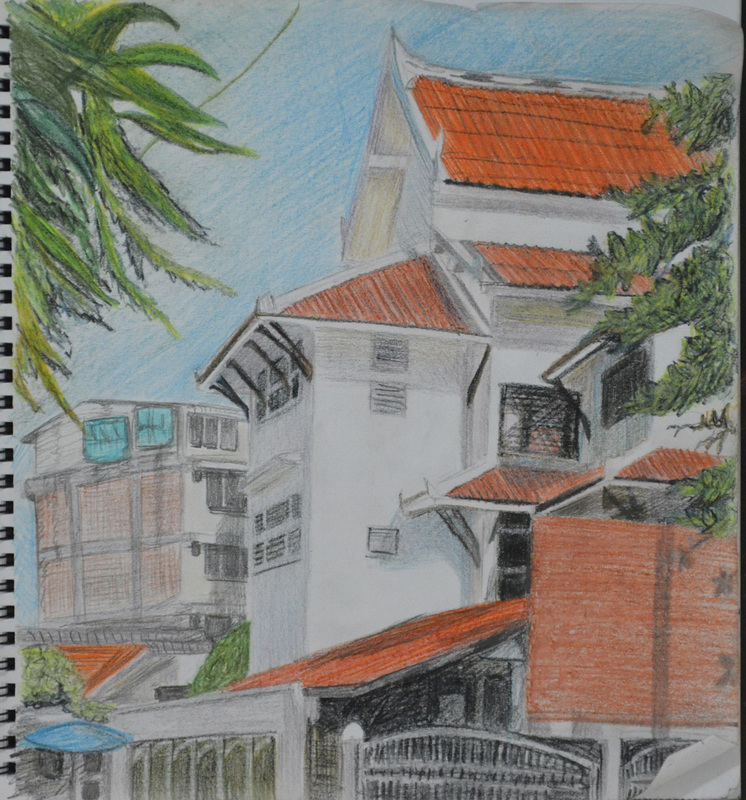 I used a chocolate pastel pencil, sanguine and black Conté pencils and a Derwent Chinese White drawing pencil. 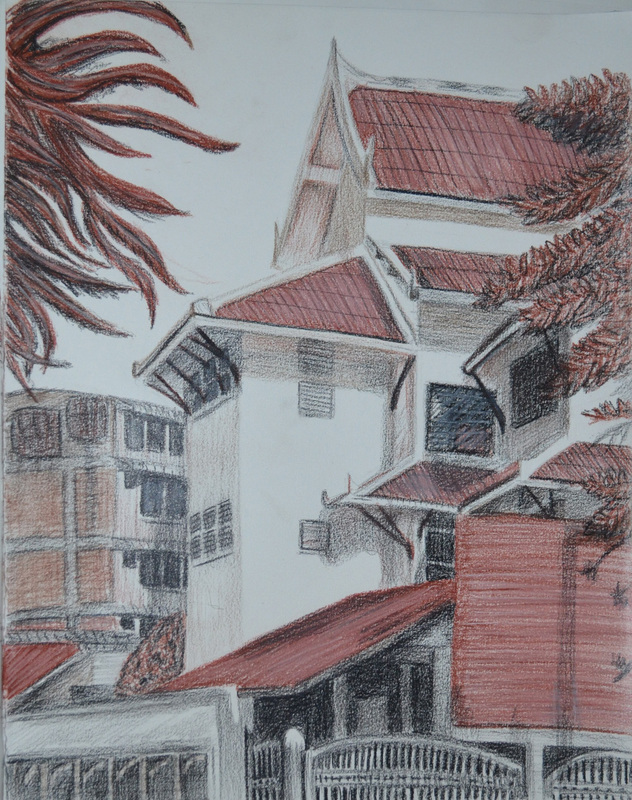 I had already done a pencil sketch of my school in the last exercise as well as a drawing of the same school in colour pencil and knowing that it would work for this exercise I decided to develop those sketches into a larger drawing with a limited palette. I followed the instructions of this exercise, drawing in the strongest verticals first, which were the corners of the main school building. 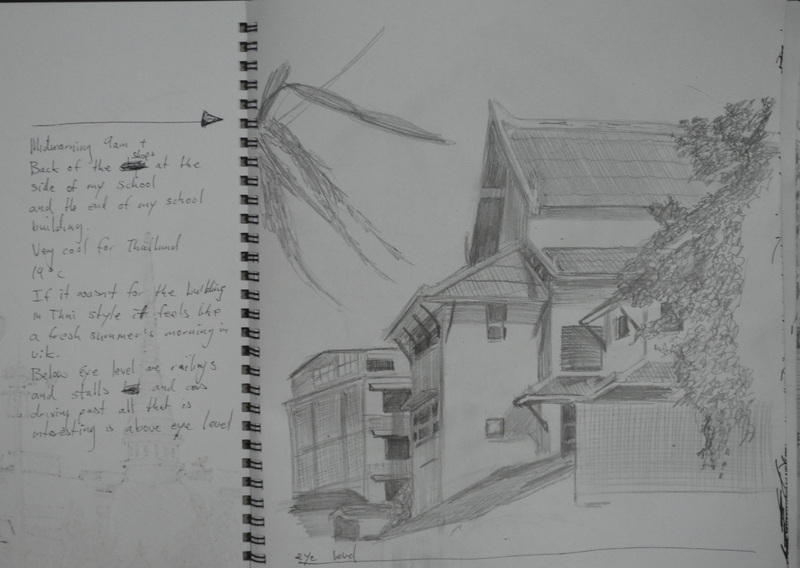 From there I drew in the diagonals which were the many roofs of the school building and most of everything else. Drawing in the detail was quite easy simply because I got the verticals and diagonal lines right the first time but if not then drawing in the windows, roof beams etc. could have been a disaster. The colours that I chose for this exercise went very well together and so the roll of each colour i.e. light, dark and mid-tone swapped over in different parts of the picture with the most prominent colours being the Sanguine and the Black Conté simply because they helped me depict how bright and fresh the day was. The chocolate colour pastel pencil was mainly used for shadow along with the black Conté at minimum pressure. The Chinese white was grade for toning down the Conté and also adding 3D properties to the tiled roofs. I have to be honest and say I love the finished study which does remind me of some drawing from an history lesson at school.